Lisanne de Jong is with Ulla Amsterdam, Joy Milan, Nathalie Paris, Independent talent London, Modelwerk Germany and Elite New York. PONY RYDER: Lisanne, when did you start modeling? LISANNE DE JONG: I started modeling this year, I finished high school in June and now I’m fulltime modeling. Earlier this year around April I sent some polaroids to my mother agency in Holland Ulla models, they liked me and that’s how it started. PONY RYDER: You are still in “development”, so tell us how does a developing process of a model, go on? LISANNE DE JONG: The agency will take polaroids of you, after that you will get a lot of tests for your book so you can do castings and stuff. The agency will help you and direct you with things like how to act in front of the camera how to pose and your facial expression. How to walk on the catwalk. I’m a bit of a shy person actually, so my mother agency helped me with how to be and act more confident. When I came to Milan for the fashion week in September this year I didn’t know how to walk on a catwalk, so my bookers tought me how! But always keep practicing! PONY RYDER: How do you pose? LISANNE DE JONG: I try to move a lot, try different things so the photographer has some different options to eventually choose the right picture. And I always try to make it look like I'm comfortable, not too posy. And a strong expression on your face I think is really important. PONY RYDER: What is the hardest thing for you as a new model? LISANNE DE JONG: Being away from my boyfriend, friends and family. PONY RYDER: What are the positive sides of model world/fashion world? LISANNE DE JONG: The magazines, the designers. The shows I like the most. Also the travelling seeing all the different places and meeting people from all over the world is really cool. PONY RYDER: What is important to know about Paris and Paris market? LISANNE DE JONG: Well.. I think it’s a though market, you have to be prepared and have to have a strong book. But just be confident about yourself and don’t take everything too seriously. PONY RYDER: What do you think about show "Next model". Does it really capture the essence of model life? LISANNE DE JONG: I like to watch the show but I think it’s a little exaggerated. They make it seem like the life and working as a model is the best and of course it is really nice!!! But when you are first starting as a model it is really hard to get noticed and get good jobs because there are already so many good models. You have to work hard! And they also make it seem like there is a lot of competition between the models, and yes there is I think especially during fashion weeks.. but it’s not that bad. from what I’ve seen and experienced, a lot of girls actually support each other and have a nice time together. PONY RYDER: What about Cola Lisanne, do you feel the difference between coca cola and Pepsi? PONY RYDER: Oh, than you must know some beauty advices? LISANNE DE JONG: Always clean your skin, that’s the best! PONY RYDER: Do models eat? Really Lisanne, is there any pressure on new models to loose weight? LISANNE DE JONG: Hahah well I eat.. :) I think there is some pressure because you have to keep a good size, but you can keep that size by just eating healthy and maybe do some sport or exercise , you don’t have to starve yourself. PONY RYDER: And how do you stay in shape? LISANNE DE JONG: Walk castings everyday is a pretty good work out and I just try to eat healthy and I like to do Yoga exercises. PONY RYDER: What are the things a model can not be without? LISANNE DE JONG: An MP3 player/Ipod, High heels, A good map from the city you’re living at the moment and a laptop! PONY RYDER: Do you have any model friend you would like to see presented on Pony Ryder? LISANNE DE JONG: Marloes Horst, she is also from my agency in Holland, And we were roommates in Milan during the fashion week. She is really cool. 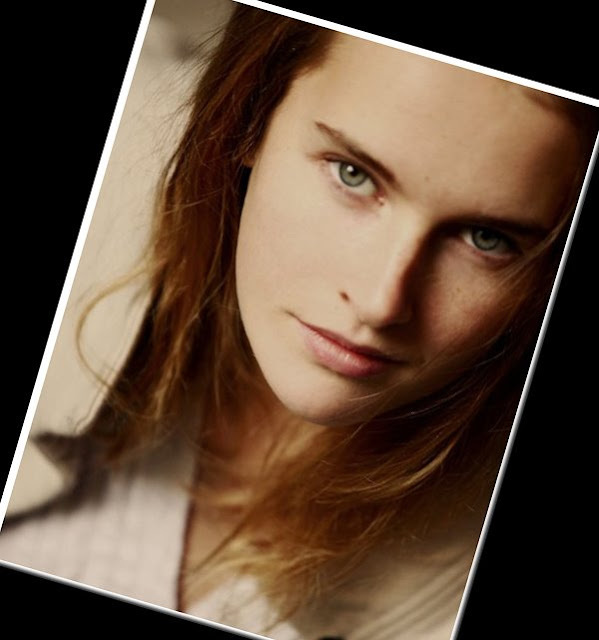 Exclusive interview with fashion model Lisanne de Jong is original work of Pony Ryder blog.